Designing your home, unfortunately, doesn’t come with a manual. And, for those harder-to-decorate spaces, such as the bathroom, hallway, and entryway, it can take a bit of trial-and-error to get it just right. Designers will say it’s all in the detail, so with these few design tricks, hopefully, you’ll find it easier to perfect your decor. 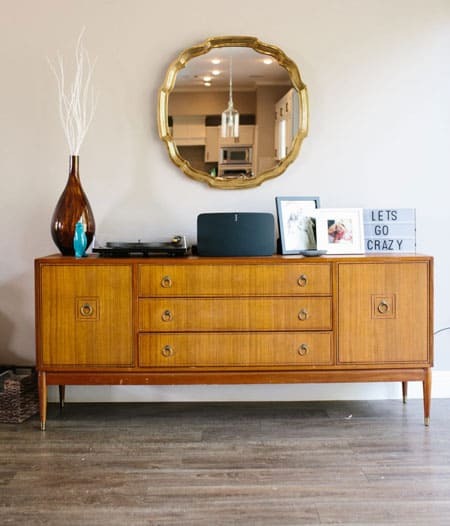 By focusing on your artwork, lighting, wall decor, and everything else in between, you’ll be able to give your home a distinct style that’s uniquely you! Here’s how to design these 3 hard-to-style rooms! From large statement mirrors and artwork to small and dainty florals, each design captures a unique look. 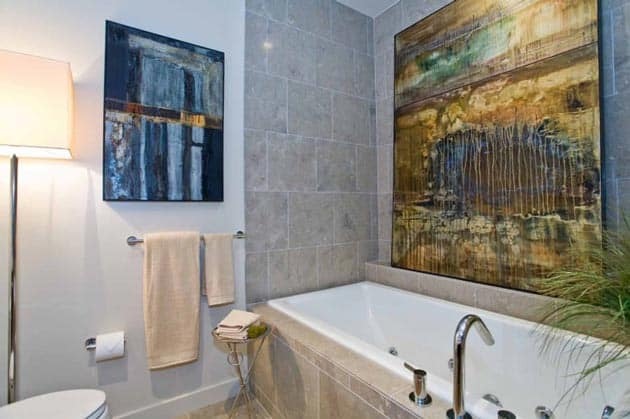 One aspect I really love here is the use of art in the bathroom! Instead of smaller art pieces, going big -- making these bathrooms artistic, whether they’re modern, contemporary, or farmhouse style. 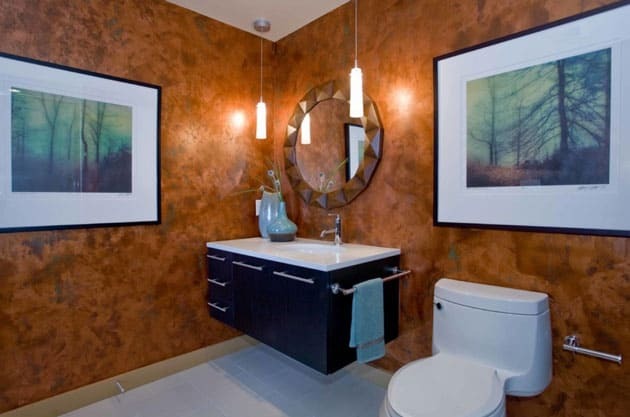 Lighting is another factor that plays largely in the ambiance of bathroom decor. Whether you want your space brightly lit or dimmed, both can work beautifully. In one of the examples above, She chose warm pendant lights to complement the textured burnt-orange walls and forest artwork - creating a dramatic ensemble. If you’re going for a naturally bright space, then lighter neutrals and crisp white decor will do the trick! 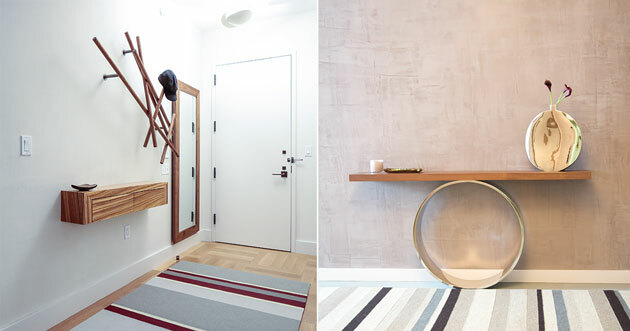 Sara Malek Barney of BANDD DESIGN is an expert at having her hallway interiors tell a story. Whether showcasing a table vignette or offering up a cozy place to sit, these hallways are interesting in style and welcoming in feel. 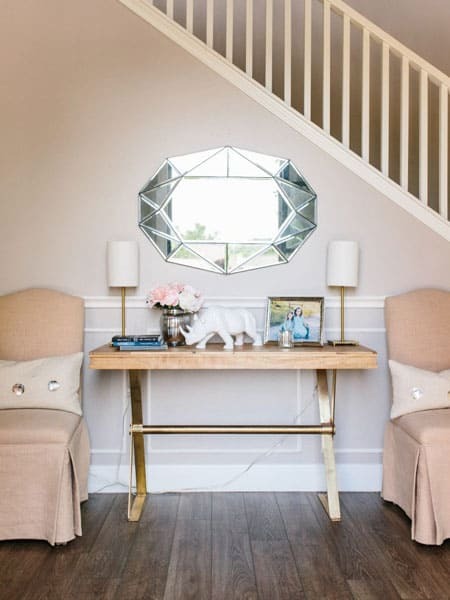 For the more narrow hallways, Sara beautifully incorporates soft pale color palettes and striking accent mirrors - which reflect light, making the area feel more spacious. The decor is kept simple, with pieces that speak to the home’s overall design aesthetic. 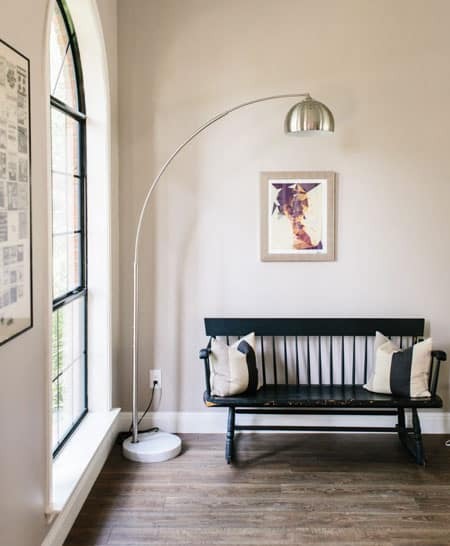 For wider areas, opting for taller accents help balance out the space, such as the minimalistic standing lamp which frames the artwork and bench, bringing the cohesiveness together. 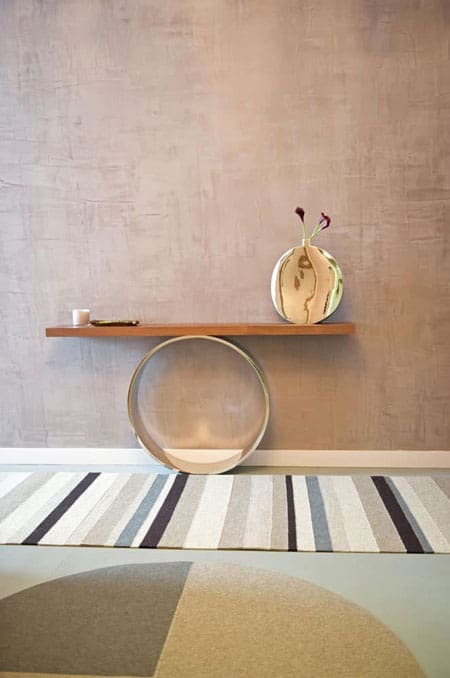 This area is not only superbly stylish but offers a place to set down bags or even use as additional seating if needed. 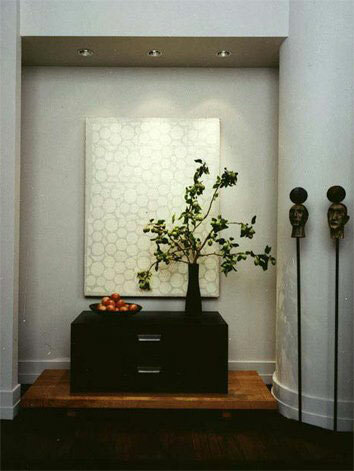 Betty Wasserman is all about elegant drama in these entryways! 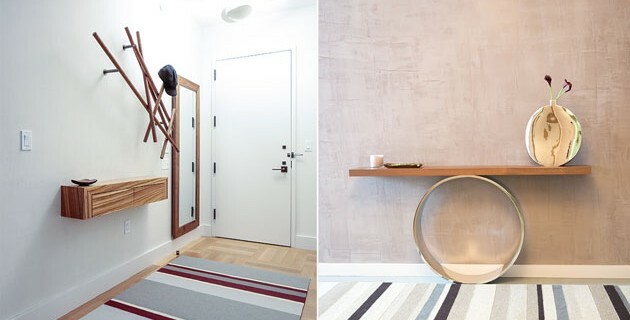 First impressions matter, so a well-curated entryway is key to a memorable interior. However, as Betty proves, such designs don’t have to be over the top, but can, in fact, be minimal and modern. From a uniquely designed coat rack to an artistic side table, these interiors are striking and powerful yet tastefully understated. In Betty’s designs, it seems as one major piece acts as the accent, so you shouldn’t feel the need to display as much decor as possible. 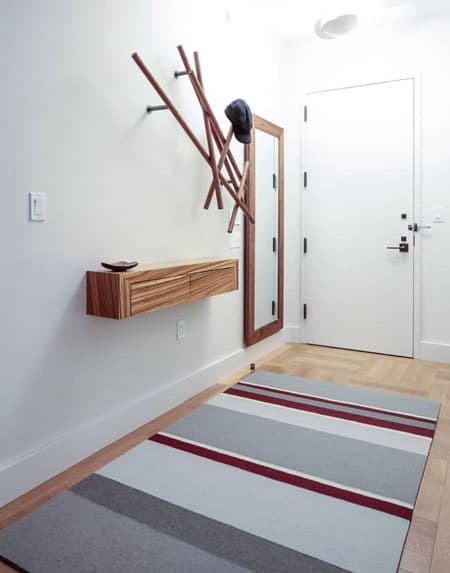 However, as the entryway (and hallway, for that matter) are shared spaces with everyone in the home, try to choose an accent that will reflect everyone’s style -- whether that’s artwork or a large houseplant. Whether you want to add a burst of color or a more personal touch, working in artwork, lighting, and wall decor will instantly revive these often neglected spaces. Give your home a refreshing and personalized feel and get creative with your decor!